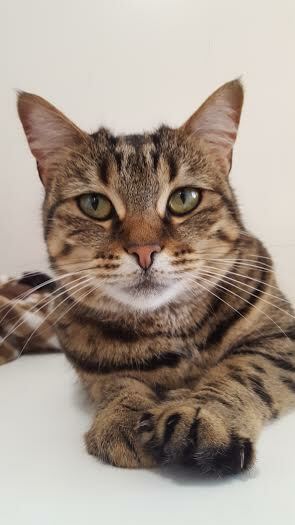 Spotty was brought into us for rehoming due to her brother fighting with her and she was getting quite frightened by it. 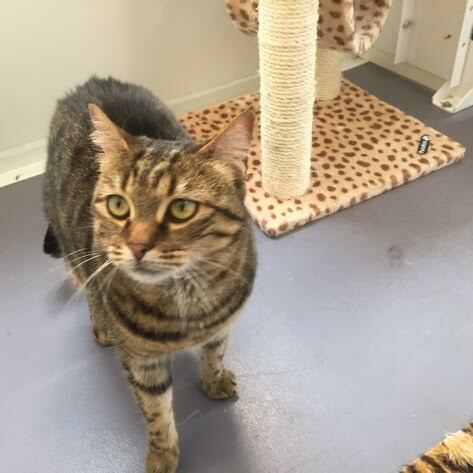 Spotty is a very sweet natured cat who enjoys attention, cuddles and tummy rubs. She has been neutered, microchipped, vaccinated and had her flea and worming treatments. If you would like to meet this pretty lady please give us a call.